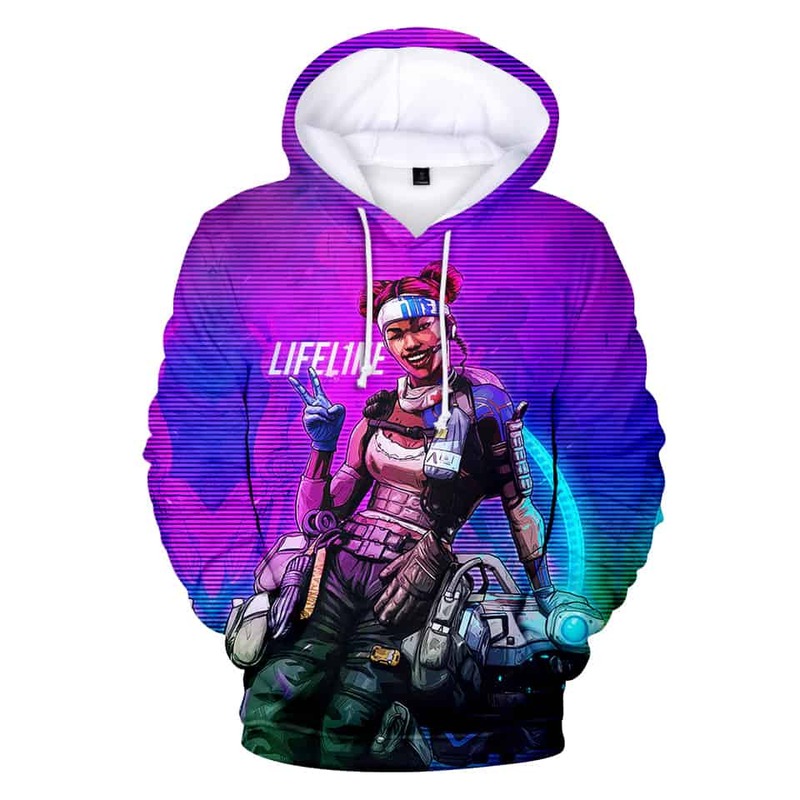 Lifeline Apex Legends Hoodie features Lifeline on a purple background. Lifeline hence the name is a combat medic essential to any team. She joined the Apex Games for good causes. This hoodie features a graphic of Lifeline with her medical equipment on a cool purple background. Tag your photos with #apexlegends on Instagram.